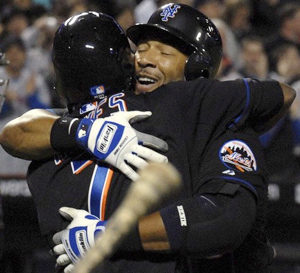 Mets Slugger Receives Flood Of Congratulatory Messages After Hitting 500th Career Home Run. Days after Gary Sheffield became the first MLB player to hit historic home run #500 in a Mets uniform (and the 25th overall to join the vaulted 500 Home Run Club®) the journeyman outfielder’s phone was still buzzing with congratulatory messages and an overflowing inbox. 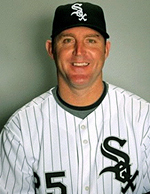 "I haven't had much sleep," Sheffield said of the time following his seventh-inning solo shot on Friday, April 17th, “and my texting finger is getting really tired.” he added with a grin. According to The “Iron Sheff” he got 109 text messages and approximately 20 phone calls on Friday night, and another 72 texts after Saturday afternoon's game. 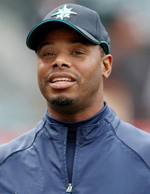 Ken Griffey Jr. (615 HRs/5th all-time) who said among other things: "I hope you enjoy it as much as I did." "It made me feel good because of how my friends, family, ex-teammates - all the people I've dealt with over my 22 years - how they responded to this event," Sheffield said. "And I thanked each and every one of them." Chief among Sheffield's well-wishers were the Tigers, who released him March 31. Sheffield said he heard from Detroit’s entire MLB organization and was grateful for their support. "It's overwhelming that that many people responded to me," he said. "I'm on an adrenaline rush right now and I didn't expect to feel this good," Sheffield said. 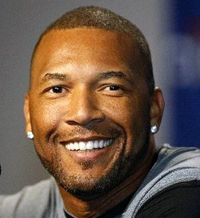 Gary Sheffield is the first to join the 500 Home Run Club with a pinch-hit home run. Sheffield is the second to hit his 500th homer off of the first team he ever played for (Milwaukee Brewers); the first to do this was Jimmie Foxx, on September 24, 1940 (against The Philadelphia Athletics). Sheffield and Foxx are the only members of the club to hit their 500th homers off of a team that they played for at any point in their careers. Sheffield has played for more teams than any other member of the 500 Home Run Club, with 8 (Brewers, Padres, Marlins, Dodgers, Braves, Yankees, Tigers, Mets). Prior to his joining, Frank Robinson and Eddie Murray were both tied for the most clubs, with 5 (Reds, Orioles, Dodgers, Angels, Indians for Robinson, and Orioles, Dodgers, Mets, Indians, Angels for Murray).